Another beach vacation this year! I am really blessed and grateful for all the trips this year. Pretty chilled year for me and I love it. 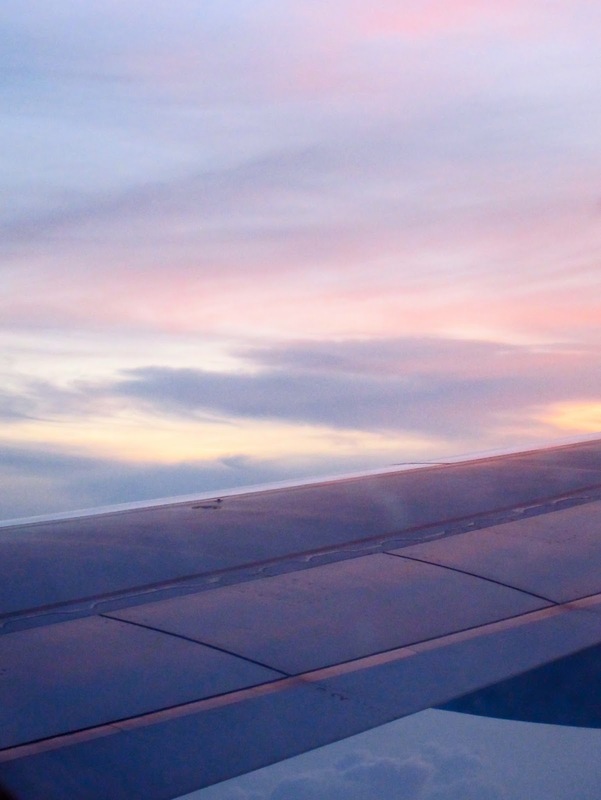 Anyways it was a family vacation this time, hence an early flight *yawns*. We reached our destination just after break of dawn. It's an hours drive from the airport to Ao Nang, the main beach area of Krabi. Before we headed to Ao Nang we made a few stops on the way. 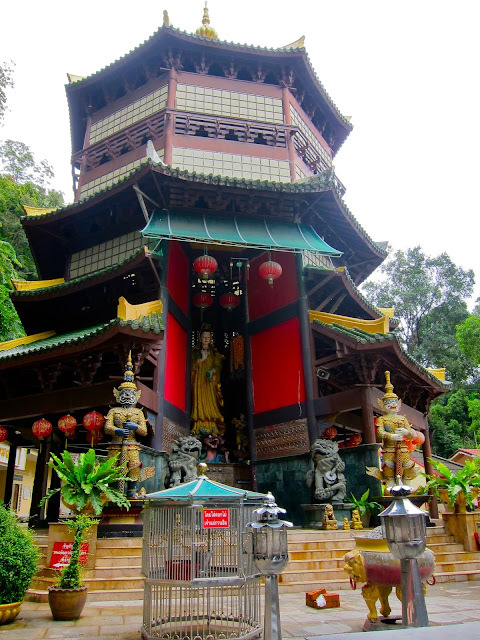 We visited the tiger cave/mountain and paid a visit to the temples. Yours truly, Erin & Stephanie. It was a serene morning and we were surrounded by trees and wildlife. This tiger statue was probably the most 'chilled' statue I've seen. Tiger goes 'Yo what's up?' ! Not that funny as I thought typing it out, but pretty funny when I saw it. We both sat on the benches below while waiting for the parentals. They were mountain climbing, exploring the place. We weren't up for it as we were still pretty tired from the morning flight. The next stop was by this river. Which was pretty famous spot for tourist to take photos like this. It was pouring on and off, not a great way to start your vacation but we hoped for better weather. After lunch our cab driver took us to Krabi's "Aquarium", well that's what he called it to be. Well, it's definitely not Underwater World, but it had it's perks. Huge sea water fishes that are happily swimming below. The shadow on the bottom right is my head, you can use that for comparison of the size. Looks like a grouper to me but not really sure what they are. 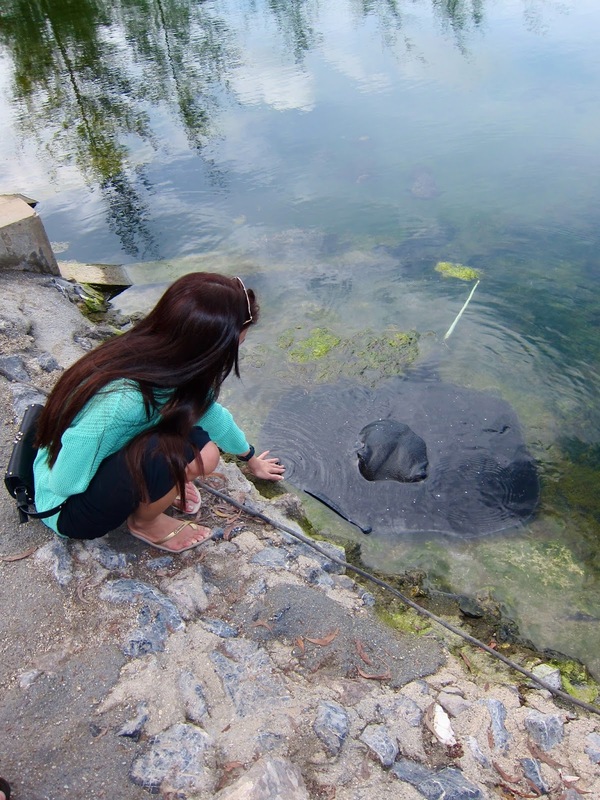 Oh we even spotted a sting ray, it was so people-friendly that it lets you touch it. In fact it enjoys being touched! Its skin felt like sand paper, and it keeps looking at you when you stroke it. Weird and funny feeling, like I made a new friend hahaha. After all the exploring around Krabi town, we finally checked in to our hotel. We stayed at the Naga Pura Resort & Spa on Ao Nang. Not bad for families to stay here. The room is big enough to fit two adults and two children. The bathroom has a shower and bathtub (not pictured) and a window facing the bedroom. There's even a sunbed in the room. Oh, and a balcony overlooking the pool! Well the weather did hold up after all, it was bright and sunny throughout the day! Shall continue on with another post, till then! Is it expensive the hotel? Nope! :) It's pretty affordable for that much space.